One of Russia’s richest men, and by some accounts one of the cleverest, claims he has no idea whether the principal source of his income is taxed. The admission came just a few minutes after three in the afternoon in London last Friday. Roman Abramovich may have been tired, having been on the witness stand in the High Court since 10 that morning, and for the fifth gruelling day in row. At the time, he was being cross-examined by Laurence Rabinowitz, barrister for Boris Berezovsky. 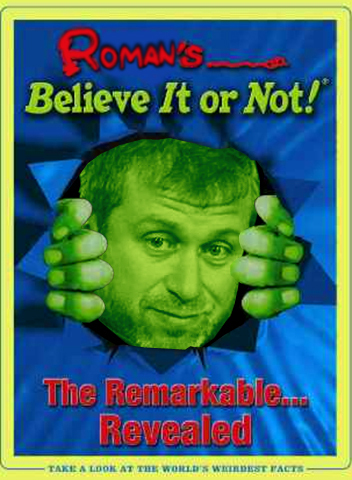 The focus of the questioning was the evidence of a conversation Abramovich had had with Berezovsky and his partner, Badri Patarkatsishvili at Le Bourget airport, near Paris, on December 6, 2000. Unknown to Abramovich, the meeting was taped clandestinely, and the transcript is now part of the evidence before the court. Berezovsky is claiming that Abramovich demonstrated on the record that he accepted that Berezovsky and Patarkatsishvili were his shareholding partners in the ownership of the Sibneft oil company and of Russian aluminium plants which were incorporated that year as Rusal. More than $900 million in cash was under discussion at the airport meeting. Berezovsky and Patarkatsishvili wanted a down-payment of $300 million because they were on the run. According to Abramovich, he was agreeable to paying Berezovsky and Patarkatsishvili the money they were asking for. They called the money dividends, the tape recording reveals. But Abramovich now denies this, claiming instead that Patarkitsishvili had trouble with technical terminology, and whenever he said dividends, he meant protection (“krysha”) payments. Abramovich is recorded as explaining that if their shareholdings in Sibneft were to be made formal, even through a chain of offshore holding companies and secret nominees, there was a grave risk that the evidence would slip out, and that Sibneft would be “destroyed”. In other words, Abramovich was admitting, Berezovsky’s public falling-out with President Vladimir Putin had not only forced him to leave Russia in a hurry, his assets frozen behind him; but that his influence with the Kremlin to protect anyone, even himself, had come to an abrupt end. Abramovich, he appears to have said in the airport conversation and repeated again in court last week, was concerned with the legalities, declared and discoverable, of Sibneft’s cash going to both himself and to the two others. What protection Berezovsky and Patarkatsishvili were providing in December 2000, or could earn for their $300 million payment , if they were in such desperate straits, is a matter for the judge, Justice Dame Elizabeth Gloster, to rule on in several months’ time. But for an instant the judge attempted to test Abramovich’s knowledge of something much simpler. So she asked Abramovich how he understood the payment of Russian corporation dividends was taxed by the Russian tax authority. Is there a withholding tax, asked Justice Gloster, according to which the company issuing dividends deducts a portion of the money for payment in tax before the shareholder eligible to receive the dividend gets it? What happens when the dividend recipient is resident abroad? Abramovich responded swiftly and without ambiguity. He could have said that the dividend tax regime of Russia has taken time to evolve towards the global norm, and that his business operations are so complex, he relies on his accountants to advise what tax regime applies in Russia. He could have said that when he was governor of Chukotka, he arranged for special corporate tax exemptions and benefits to be granted to companies registered or trading through the Chukotka capital, Anadyr, especially his own companies until the Accounting Chamber ruled that this was illegal in 2004. Also, he could have said that his dividend income is always paid according to Russian tax law. In fact, Russian corporations withhold tax payable on dividends for shareholders, like the practice everywhere else. And according to the Russian tax code, the tax rate varies from 9% for Russian tax residents to 15% payable between Russian companies and foreign resident companies; 30% if the dividend recipients are foreign resident individuals, not companies. This is how LUKoil explains to its shareholders how their dividends will be taxed at the withholding stage.